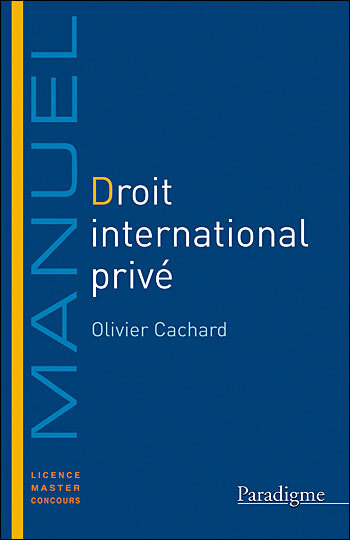 Professor Olivier Cachard, who is the Dean of the Law Faculty of Nancy, has recently published a book on French private international law. The book is short (less than 300 pages). It aims at surveying the subject, and will thus be very useful for not only for students, but also for foreigners wishing to get a first acquaintance with the subject. Remarkably, it also includes quite a few materials such as cases, statutory texts and extracts from leading articles.